– Simply sink the anchor into new concrete. – Manufactured from hardened steel. 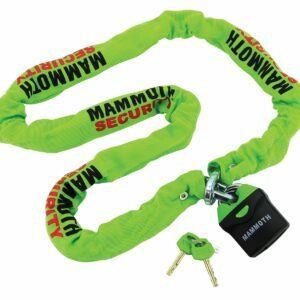 – Rotating head section allows optimum access for chain and ease of use. – Suitable for outdoor and indoor use. 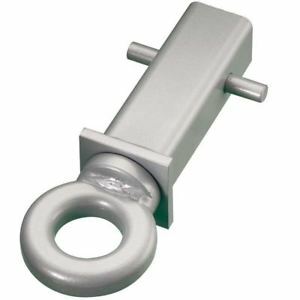 Kit includes; 1 x Ground Anchor Unit, Instruction GuideKit includes; 1 x Ground Anchor Unit Instruction Guide. 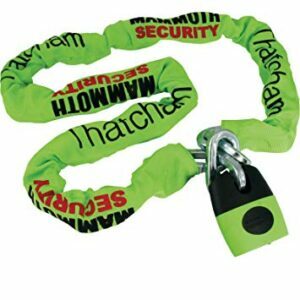 A security lock and chain is only as effective as the locking point it is secured to – thieves can easily remove a motorcycle if it is not secured to an anchor point. 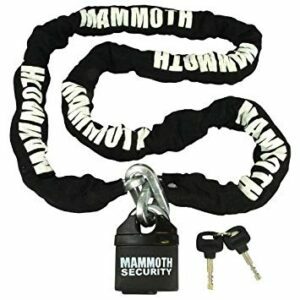 The Mammoth Junior Bolt-in Ground Anchor provides a robust base to chain your motorcycle to. 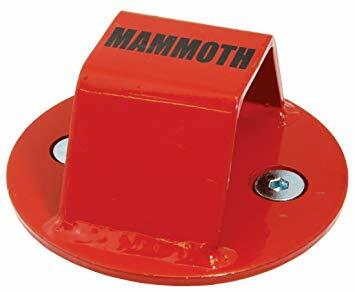 – 3 star Mammoth Rated. Thatcham “Approved Device” are recognised by the moto insurance industry and their use can reduce insurance premiums (User should check with their insurer). 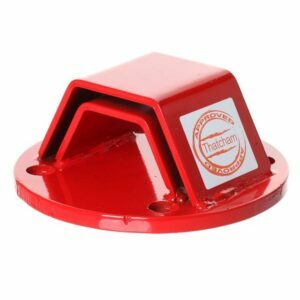 Designed for all security needs, especially suited to secure motorbikes to a fixing such as ground anchors, lampposts etc….